This recipe is sponsored by Florida’s Natural. 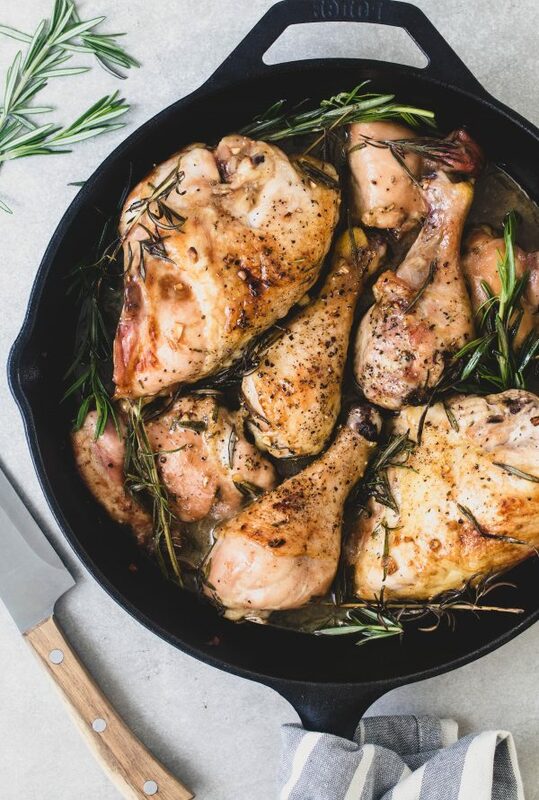 I used their product to make this delicious baked orange rosemary chicken. The opinions and text are all mine. The end. The holidays are just around the corner. For me, it is a tradition every year to prepare a Christmas menu in advance. For the 2018 menu, I am choosing this baked orange rosemary chicken as the main dish for the holiday dinner. To be honest, I can’t wait to prepare this recipe for my family gathering. 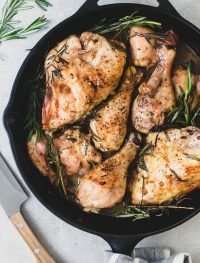 The perfect thing about this baked orange rosemary chicken recipe is that not only it is easy to make but it is the perfect protein dish to pair with any type of grain or vegetable. For me, I have decided to serve this with quinoa as well as baked potatoes and green beans. The gravy that comes out from this recipe after baking is just out of this world so I think the quinoa, potatoes and green beans will be perfect. For the delicious taste of orange in this recipe, I used Florida’s Natural® Brand Orange Juice which is simply the best orange juice you can use for the this dish. 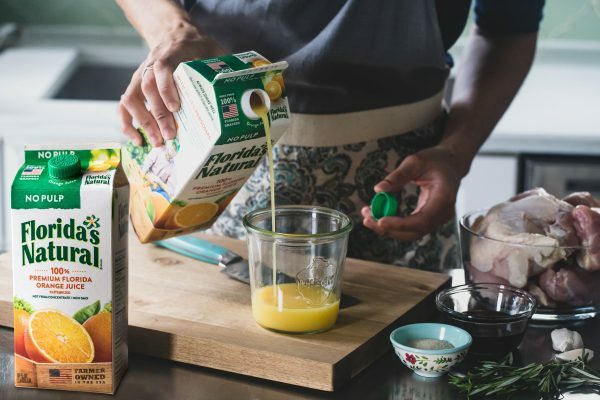 Florida’s Natural® Brand Orange Juice is made from one simple ingredient — Florida oranges. And only Florida oranges. No water, sugar or preservatives are added. This orange juice comes from pure Florida oranges. There are no artificial flavors or ingredients. 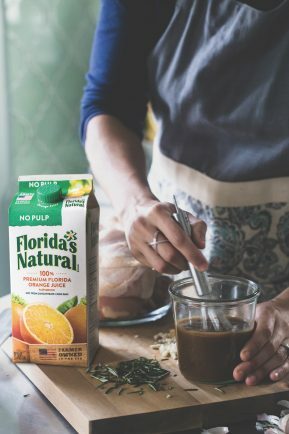 Florida’s Natural® Brand Orange Juice is made entirely in Florida, using the citrus that their growers produce. Cooking at home allows you to be able to choose the best quality ingredients when making recipes. I think this is also very important when wanting to obtain an exceptional dish. It is something that I take very seriously because I always want to end up with the best possible version to whatever it is that I am cooking or baking at home. In my experience, chicken turns out with a much better flavor when marinated. It is always juicer and more tender. I don’t know what it is about marinating chicken but my family and I prefer how it turns out, especially when baking it. I think this recipe is going to be a total success with my family members. The orange, rosemary and garlic flavors go really well together so I was extremely pleased with the end result. Anyways, I hope you get to try this amazing baked orange rosemary chicken. It is the perfect main recipe dish to serve family and friends over the holidays. In a medium mixing bowl add the sauce ingredients and combine. Set aside. 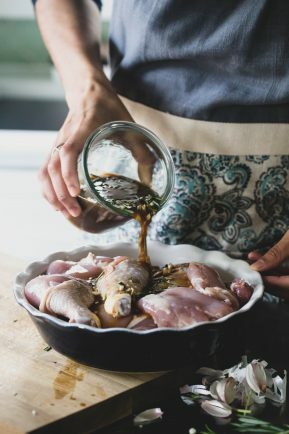 Place the chicken in a large dish. Pour the marinade over the chicken and cover the dish. Refrigerate overnight or at least 6-8 hrs. 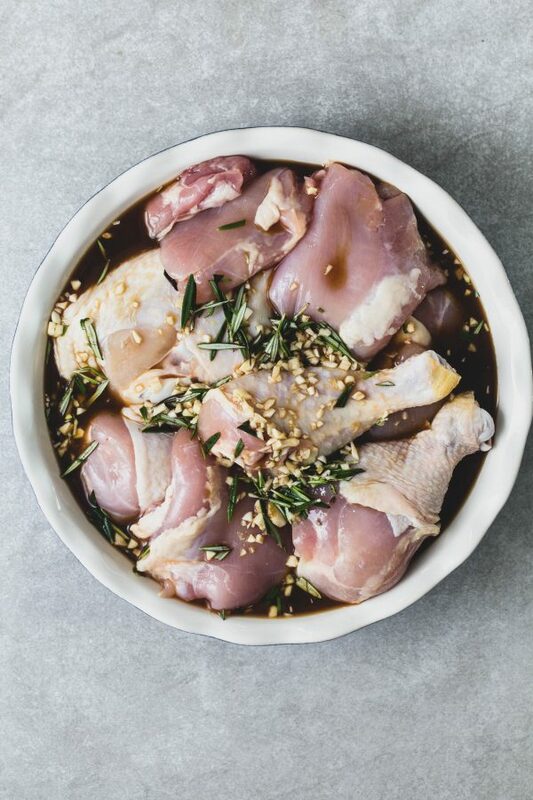 Rotating the chicken partway through marinating ensures an even marinade. 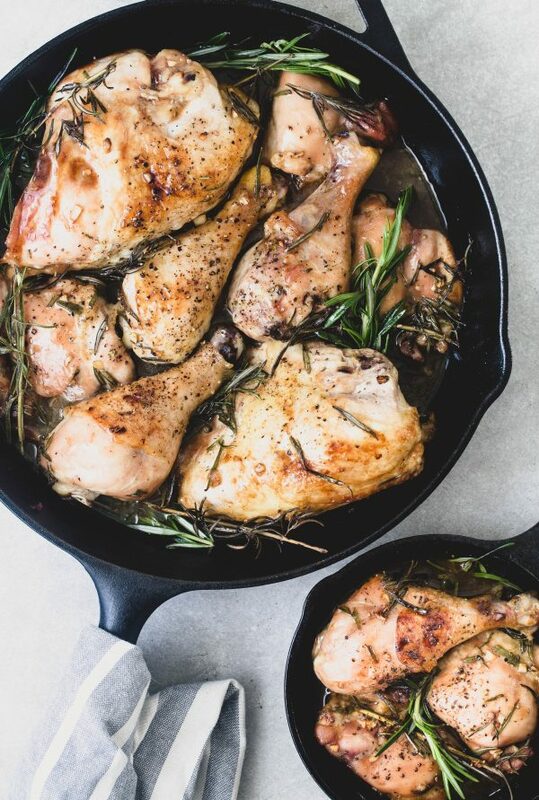 Place the chicken in one layer, skin side up on a baking dish or large cast iron pan. Roast the chicken for 40 minutes, basting the chicken with leftover marinade while it cooks. The chicken is done when it reaches 165 degrees in the thickest part or when the chicken is lightly browned. Baking times will vary depending on how thick the breasts and chicken pieces are. Remove chicken from the oven and serve immediately with roasted vegetables, rice, quinoa or with whatever you like.